Over the past few years Longwood Gardens, a horticultural conservancy located in Southeastern Pennsylvania, has hosted a wide variety of international musical talent. 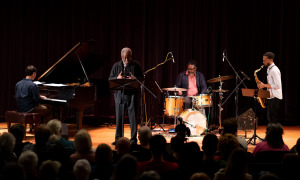 Situated in a wooded area of Kennett Square, the conservancy offers multiple performance venues in a beautiful, bucolic setting conveniently located near Baltimore, Philadelphia and New York. 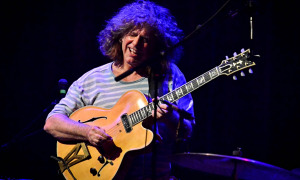 Three days before his 58th birthday (August 12, 2012), Pat Metheny brought his critically acclaimed Unity Band to the Gardens' Open Air Theater, offering a dynamic show that encapsulated everything the renowned guitarist has to offer, from intimate solo recitals to epic experiments with new technology. The late summer evening's concert began with a collective chorus of "Happy Birthday" sung by the audience in anticipation of Metheny's arrival. 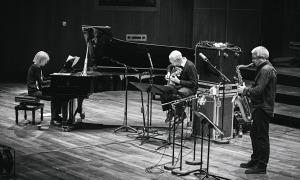 Entering the stage alone, wielding his 42 string Pikasso guitar, Metheny embarked on a solo improvisation that seamlessly melded Eastern and Western sonorities, its understated Iberian-flavored theme modulating between Asiatic harp-like flourishes and rock-inflected power chords. The conclusion of the pan-global meditation signaled the entrance of the rest of the band, as saxophonist Chris Potter, bassist Ben Williams and drummer Antonio Sanchez took the stage. 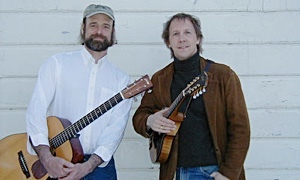 Potter's percolating bass clarinet and Metheny's scintillating acoustic guitar then introduced the hypnotic modal groove of "Come and See," one of numerous tunes culled from the band's recently released, self-titled debut (Nonesuch, 2012). 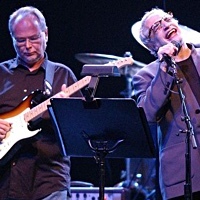 Following Metheny and Potter's robust choruses, newcomer Williams embarked on an unaccompanied solo, engaging in lyrical interpolations of the melody devoid of flashy pyrotechnics. 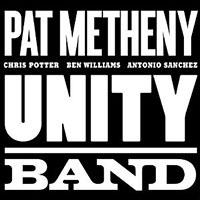 The band's interpretation of the piece set a precedent for much of the set, showcasing the tight but elastic interplay between Metheny and his sidemen, while providing the leader ample time to prove why he has been awarded nineteen Grammys since 1982. Metheny switched to his distinctive Roland GR-300 guitar synth for a scorching rendition of "Roofdogs," unveiling his fondness for the avant-garde during the tune's visceral, freeform climax, as he and Potter spiraled in unfettered abandon amid the rhythm section's tumultuous exchanges. 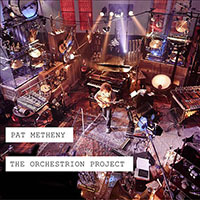 Switching to acoustic guitar, Metheny introduced "New Year" unaccompanied; Potter's bold tenor solo quickly escalated the mood of the winsome Americana-tinged melody into one of vigorous expressionism, culminating in a probing excursion from Metheny on his hollow body electric that balanced heartfelt lyricism with boundless virtuosity. 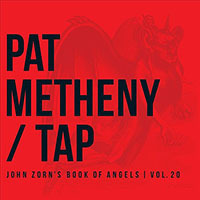 Afterwards, Metheny took a moment to introduce the band before delving into a simmering version of "This Belongs To You," followed by a spirited medley of "Police People / Two Folk Songs," which highlighted Sanchez's impressive trap set skills. 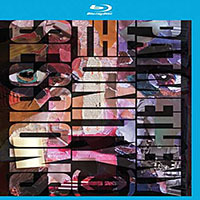 The former number, taken from Song X (Geffen, 1986), Metheny's landmark collaboration with Ornette Coleman, was one of two Coleman covers, which reinforced the guitarist's dedication to the harmonic innovations of the maverick saxophonista detail that is often overlooked in Metheny's oeuvre. 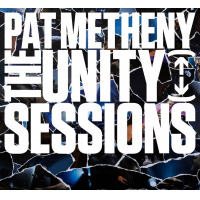 Despite his reputation as a mainstream player, Metheny's steadfast commitment to both inside and outside traditionsbe they introspective acoustic guitar ruminations or coruscating amplified improvisationsis always conveyed with unwavering devotion. 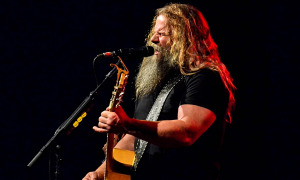 It is this balancing act between dynamic extremes that separates Metheny from his peers. 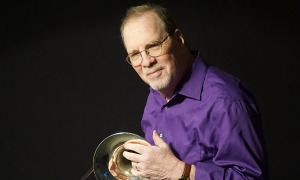 Although musically talented, many jazz artists fail to understand how to "put on a show." 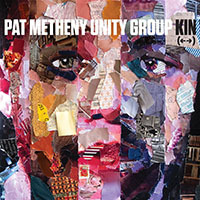 Consequently, Metheny's ability to create an engaging live listening experience through varied track sequencing is a relatively rare skill. Nowhere was this fact more apparent than in the dramatic staging of "Signals (Orchestrion Sketch)." Opening the composition by sampling the scraping of his strings into dissonant loops while layering additional fragments of melody on top, he established a harmonic and textural bed to stage the rest of his subsequent Orchestrion variations.